When you've paid your debt to society and served your sentence, all you really want to do is return to a normal life. 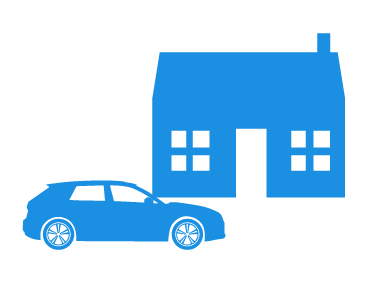 But when it comes to finding insurance for your car or home, you soon find out that that is easier said than done. Most insurers simply will not provide cover to any ex-offender with an unspent sentence. Adrian Flux specialises in a variety of niche motoring markets, including insurance for those with driving convictions and drivers with non-motoring convictions. What does non-motoring convictions mean? A non-motoring conviction is a conviction that is not related to driving, such as breaking into a house, stealing a car or assault. Adrian Flux can offer competitive quotes to those with criminal records if they have been found guilty of minor offences and even serious crimes. We can cover you no matter what your past, and when you come to us for a quote you'll realise that your conviction doesn't condemn you into paying over the odds for your car or home insurance for years to come. Even if you are not asked about non-motoring convictions you must declare them and, unfortunately, that will probably mean premiums going through the roof. Some may refuse insurance cover automatically. Here at Adrian Flux, things are different. We know that your past is not necessarily a guide to the future and, as experts in finding cover for all types of specialist and unusual situations, we can arrange low cost, high quality insurance for your car or home. Our sales staff are insurance experts, not just button pushers and because of this we are confident we offer the best quotation service around. With over 40 years experience, Adrian Flux has a reputation for designing car insurance policies that match your particular needs to your budget. We offer flexible and competitive quotes for drivers with criminal convictions, sourcing the best available scheme for you from amongst the many offered by our panel of over 40 insurers. Why waste time ringing round dozens of companies when we can do it for you? Finding car insurance when you have criminal convictions can be a real hassle, so the cover we offer is designed to be as simple and as useful as possible. With a wide range of “fairplay" insurance schemes available we can cover almost any combination of vehicle and driver, and always at a price that's fair. Our highly trained staff have the freedom to listen and take your individual circumstances into account and, as a result, we don't have to assume the worst case scenario. Call us now for your tailored quote. Finding home insurance if you have a criminal conviction can be an ordeal. With so many companies refusing to offer cover it can be tempting not to disclose your unspent convictions, but you will probably be found out as insurers double check and investigate at every stage from quote to claim. But a criminal conviction does not need to be a barrier to fairly priced cover for your home and its contents. Here at Adrian Flux we work with a range of insurers to offer cover tailored to your individual situation and needs. No matter what your past, we can take your unique circumstances into account and find peace of mind cover at a fair and reasonable price. You will be able to sleep easy in the knowledge that your most precious possessions are covered - get a no-obligation home insurance quote today. Our staff are all seasoned insurance experts and will calculate your premium individually, using their expert knowledge of the many insurance schemes on offer. All the policies we offer to customers with convictions are designed to meet their individual needs and our staff have the freedom to take account of your exact circumstances. This is not an online quotation system using computer rates. Instead your price will be individually calculated by our expert and highly trained staff. Quotes for insurance with criminal convictions is only available over the phone complete the call me form during office hours (9am to 7pm Monday to Friday & 9am to 4pm Saturday) for an immediate, no-obligation quote or call 0800 369 8590 now.